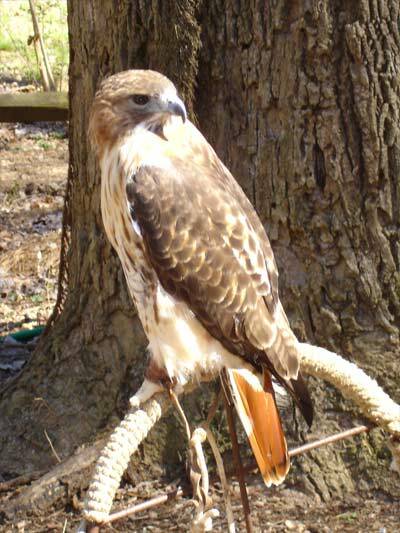 Red Tailed Hawk Affirmation Card: I am healed and empowered through my visions. My life moves forward. There are many types of Hawks found throughout the world and each has medicine specific to their individual types. Yet there also characteristics that are specific to all Hawks and those are the focus here. Many of the messages Hawk may bring are about freeing yourself of thoughts and beliefs that are limiting your ability to soar above your life and gain a greater perspective. If one remains earthbound, then the possibilities of life are limited! It is this ability to soar high above to catch a glimpse of the bigger picture that is one of the aspects of Hawk medicine that makes it so valuable: If one is undergoing a difficult passage to know that just over the next hill is freedom and liberation if one keeps going can be a Godsend in supporting the person to keep moving forward! Likewise, if the path is not appropriate, Hawk Medicine can alert one to this and point out a far more favourable path. Hawk medicine unites Heaven and Earth. Because of their ability to soar, they are able to reach up to the heavens to extract needed information and bring it back to earth. Much of this information is also very practical for use on a daily basis! It is not only higher concepts or ideas that are relayed, but also information we need to make our material or mundane lives more prosperous and fulfilling. For those who have difficulty attracting financial well being due to false or negative beliefs about money and success, Hawk can help to understand the true spiritual intent and purpose behind money and guide one in establishing new beliefs that are more joyful and abundant in nature. Hawk can alert us to those times when we should NOT take action because we do not yet have all the information we need. For example, someone is thinking of about becoming involved in a relationship, personal or business, yet they get the feeling that something is "not quite right". This needs to be heeded and Hawk sent forth to gather the appropriate information to help the person make the best choice. Sometimes the person finds that Hawk was telling them to steer clear for very good reasons! Hawk can also help balance those who are more attuned to the lunar sides of their nature and have trouble expressing the solar side in pursuit of their goals. It helps the person to activate the positive aspects of their sun sign and to balance it with the lunar needs. Hawk people have their own unique challenges in life. Often they feel misunderstood in that when they attempt to deliver an important message others may shy away from it or respond with anger. Sometimes the messages may not be what the other person really wants to hear and yet the Hawk person feels duty bound to relay the message, no matter the consequences. It is important however that Hawk people do be aware of how they are presenting the messages they receive. They need more than many others to try and deliver the messages as gently as they can, only becoming more forceful if their inner guidance absolutely says it is needed. Sometimes simply thinking through for a time what needs to be said can help Hawk medicine people find just the right words to use that will make all the difference and in this they should be encouraged to take their time and soar above for a while before speaking their truth. Hawk medicine people like many who carry strong predator totems may be shunned by others who sense and fear their inner power. Others may sense that this is a person who can see straight through them and as many folks think in terms of judging things as being good or bad, they are afraid that the Hawk person will see who they "really" are and so they strike first in an attempt to keep the Hawk person at bay. Hawk people need to learn how to veil their energy somewhat, not as an attempt to deceive others but to allow people to get to know them and understand that Hawk has no interest in judging others. Often these people have seen so much of the best and worst in life that they find they have no need to judge. All is part and parcel of Spirit's plan and if Spirit sees fit not to judge, why should the Hawk person? Some Hawk people may have a tendency because of their vast ability to see clear through to the heart of things to become arrogant and this should be avoided because it keeps them earthbound as well as turning other people off! Often this starts as confusion on the part of the Hawk person who cannot understand why others seem unable to be as aware of the larger picture and their own issues and projections. Especially when the Hawk person also has Mercury in Aquarius or in Mercury in aspect to Uranus which further enhances their ability to see and know, they may fail to understand that others are not as well developed yet in these areas and blurt out what they see and know without thinking of how it may impact another person. If they can keep in mind that their talents and abilities are gifts they have been given and that others carry medicine that the Hawk person may be weak in expressing it helps them to stay focused on Spirit as the true messenger and that they are the Hollow Bones for the energy to flow through. No totem is better than another! Each is part of the larger tapestry and as such all are powerful and important. Some with Hawk medicine find they have difficulty attracting the "right life Partner". Hawk people may find that they tend to attract more "earthy" types who find the Hawk person's need to "soar" disruptive or unimportant. This may occur because at a deeper level the Hawk person is fearful of soaring too high and crashing to earth Icarus like. In this instance, the Hawk person's real issue is one of learning how to trust themselves and their medicine. Hawk people can pair well with more earth centered people because the earthy person can encourage the Hawk person to stay on earth long enough to bring some of their visions and ideas to fruition before soaring off to the Heights again. It can be very easy for hawk people to want to stay high above the earth and never bring their wonderful ideas back to earth where they and others can put them practice. Since Hawks mate for life, the Hawk Person may need to accept that it may take them some time before they find the person meant for them yet when they do, it is well worth the wait! Otherwise the Hawk person may find themselves tied to someone and unable to free themselves easily because of the deep entanglements they have created with this other person. Especially if children are involved in the relationship, the Hawk person may feel an extra strong sense of duty to stay in the relationship for the "sake of the children" as in many cases I have seen where the Hawk person ended up as the sole provider for the family . What the Hawk person needs is someone who can accept and honour their gifts and talents, giving them the space they need to soar high above. In the Celtic tradition Hawk empowers a person to seek out their ancestral roots and to examine in depth that which is positive so that it may be integrated into the person's life and that which is limiting so it can be released. Tradition is only worth honoring when it supports joy and fulfillment in one's life! In this tradition Hawk also supports the solar side as stated above, helping a person to move forward in life and to seek out great quests to embark upon. In the Egyptian Tradition Hawk was associated with Magic and shapeshifting. Isis is said to have shapeshifted into a Hawk to save Osiris. Horus also carried Hawk medicine which allowed him to see the "unseeable". Among Native American traditions, Hawk served the role of Mercury, bringer of messages and portents of change. Hawk reminded the people they needed to be awake and aware. One of the greatest gifts a Hawk medicine person can give the world is their visions of a better and brighter future. Visionaries are always ahead of their time and it's not easy seeing what others are not ready to see. Often these people are not honoured and recognized for their work and efforts until long after they have crossed over. And yet their work lives on to touch and enrich the lives of people the world over! Honour the Hawk people you meet in your life. Encourage them to soar so they may bring their visions and messages back to earth that all may benefit. If you are a Hawk person yourself, understand that Spirit can you an especial task to hold the energy of what could be, of potentials that are waiting to be envisioned and thus expressed through the mass consciousness. Seek out other Hawk people who can support you in your life and never allow others to cause you to lose sight of what is really important to you! Trust in the messages that Spirit entrusts to your special care and know that the expression of your visions will bring blessings not only to you, but also to all others!